That sounds like a lovely day in London! 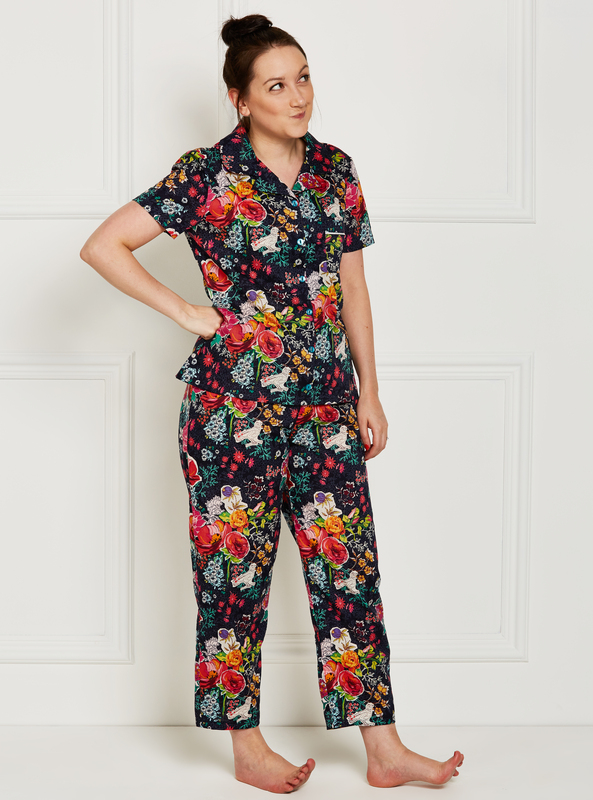 Your pyjamas are gorgeous – what amazing fabric! You’ve reminded me I really need to make some new summer pj shorts! The fabric you used is gorgeous, and I love the buttons! I love this fabric, such a nice pair of PJs. I love the group photo at the top of the post. I’m making my first Gertie pattern from her latest book at the moment. Apparently she is doing quite the tour and will be here next month too!! Ohhh – Art Gallery voile is so lovely to work with. These must have been really fun to make. Those pajamas are divine! Going to stitch up my own pair today.